"Winston-Salem, N.C. – The Downtown Winston-Salem Partnership (DWSP) has united with Post Entertainment to present the 2016 Downtown Summer Jazz Series. The featured artist will be smooth jazz Saxophonist Eric Darius. 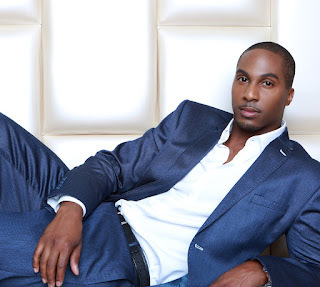 Eric Darius is one of the true rising stars of Smooth/Urban Jazz. Adored and treasured by his growing legion of fans. Eric tours constantly with such superstars as Maxwell, Joe, Mary J. Blige, and many others. Additionally Eric is a mainstay of Smooth Jazz radio, having already had 8 Top 10 hits in his young career. Eric s first single from Retro Forward, a remake of Pharrell’s Happy is already climbing up the Smooth Jazz radio charts, and promises to be Top 5 at the time of the album s release. Superstar producers Tony Dixon(Babyface, Beyonce) and Bluetooth (Chris Brown, Jordin Sparks) ensure that Retro Forward is brimming with today s hit sounds while still retaining a firm footing in the world of Jazz. Highlights include Eric s hit single Happy, the heartfelt ballad Never, the funky title track Retro Forward, and much more. The opening act will be Sandra Crenshaw. The concert will be held on Friday July 8, 2016 at Corpening Plaza. Start time is 6:00pm. This is a free event. The Triad is welcome to come out and enjoy this national smooth jazz act. For more information about the concert series go to www.postjazz.com or www.downtownws.org/music/ "